As all the Punjabis across the globe celebrated the holy festival of Gurpurab on 23rd of this month, Punjab Government came out with a special gift for all the Sikh pilgrims across the globe. Recently, Punjab Govt. laid the foundation stone for Kartarpur Corridor. It has been a long demand by the residents of this region to connect the two holy shrines of this region. 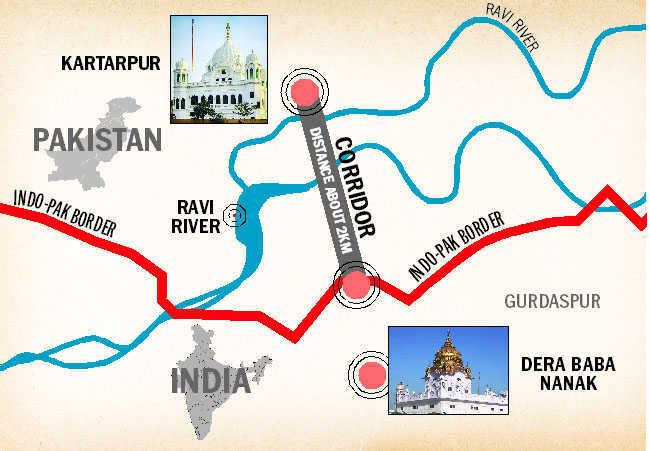 This passage will connect Dera Baba Nanak which is located near Gurdaspur, East Punjab to Kartarpur Sahib a holy Gurudwara located in West Punjab, Pakistan. With the consent of administration of both the countries, the decision has been taken and on 26th November 2018. In Punjab, this tunnel has been inaugurated by president of India Shri Ram Nath Kovind and Punjab’s Chief Minister Capt. Amarinder Singh. Even the Pakistani government will inaugurate this passage in their region on 28th November 2018. We think it is a great initiative by both the governments to increase the harmony and peace between the two nations. What’s your take on it, Do let us know in the comment section below!! !